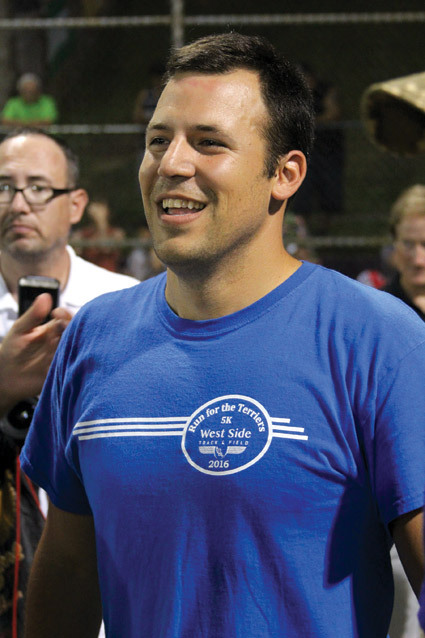 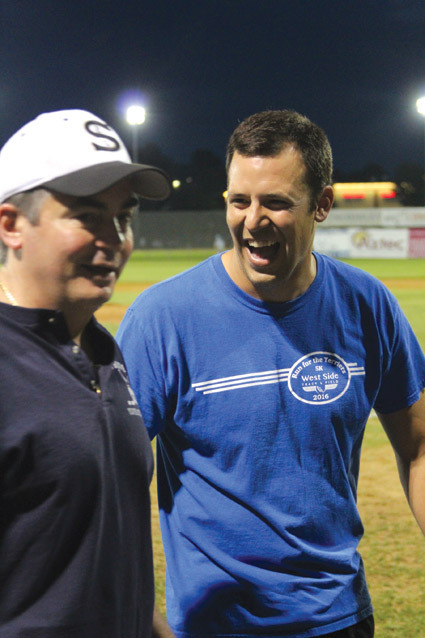 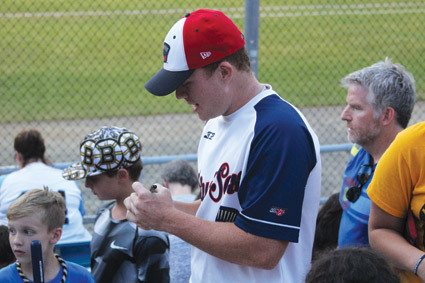 Mayor Will Reichelt joined fellow mayors Alex Morse of Holyoke, Domenic Sarno of Springfield, Richard Kos of Chicopee and Brian Sullivan of Westfield for the Running of the Mayors at the Valley Blue Sox’s victory over the Winnipesaukee Muskrats at Mackenzie Stadium on July 19. 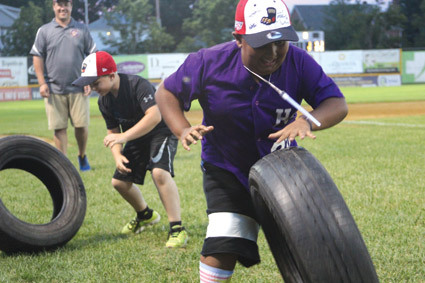 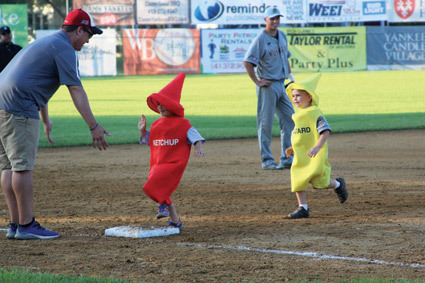 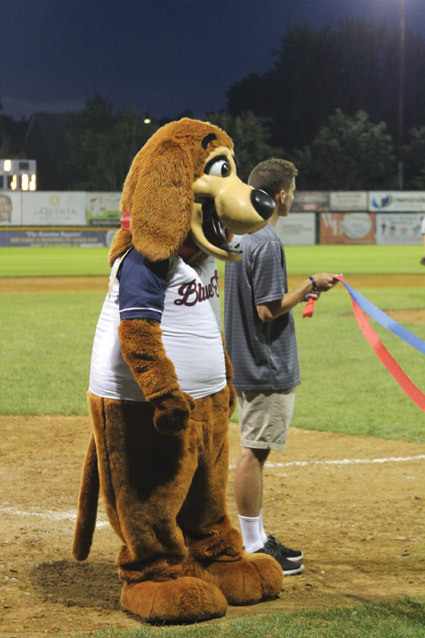 The Blue Sox regularly have entertainment between innings, often races like the Ketchup and Mustard Race and the Tire Race, but the Running of the Mayors was a special event. 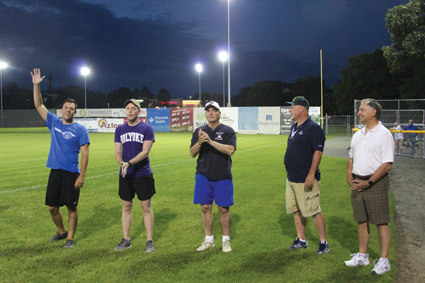 Local sponsors such as Polish National Credit Union and Westfield Bank and others put up money for the mayors to race on behalf of their town’s Boys & Girls Club. 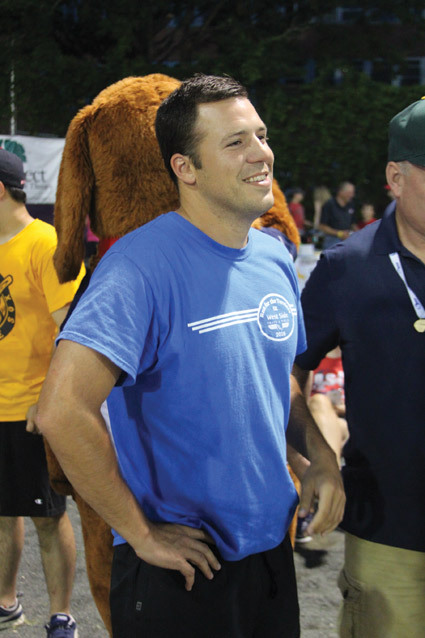 Reichelt finished second to Morse and in front of Sarno. 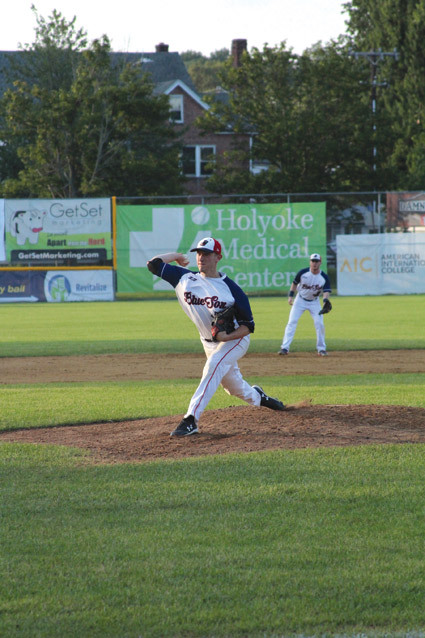 Kos and Sullivan, citing injuries, did not actively complete. 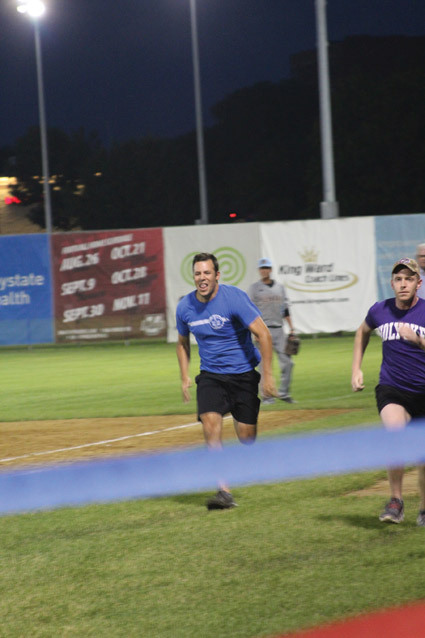 Morse got the best jump off the starting line, but in the dash down the first baseline from the outfield to home plate, Reichelt closed the gap to make it a photo finish. 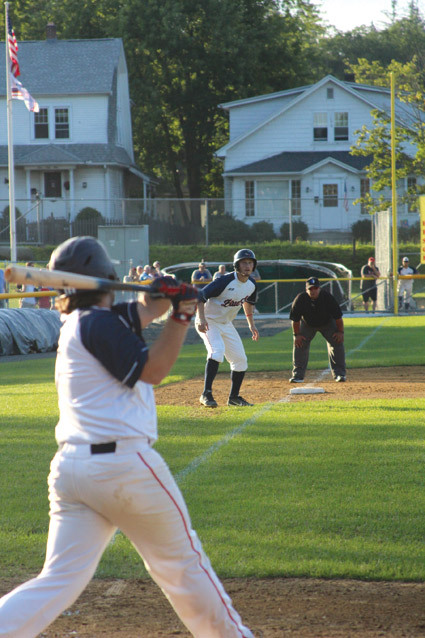 Photos by Reminder Publications Assistant Managing Editor Chris Maza.